Chile’s National Copper Corporation has awarded Obrascón Huarte Lain (BMAD:OHL) the contract to provide support services to the operation and maintenance of the canal that transports slurry, tailings and industrial wastewater at El Teniente mine site, located in the central province of Cachapoal. The century-old operation, which is the world's largest underground copper mine and the sixth biggest by reserve size, is undergoing the construction of a new level, which is expected to be completed by 2023. With the $20-million-dollar contract that it has just received, OHL is poised to introduce new research, development and innovation technologies such as drones to “enable observation, monitoring and inspection with detailed information and control of all of the activities of the tailing canal,” says a press release issued by the company. “The scope of the work includes the efficient and timely ongoing maintenance, operational support and industrial washing of the equipment and installations in the various industrial wastewater, thickening and recirculation units, tailing process, hydrometallurgy process, support to maintenance service and Sewell process,” OHL’s media statement adds. This is not the first project that Codelco, the world’s No.1 copper producer, awards to the Madrid-based construction and civil engineering firm. 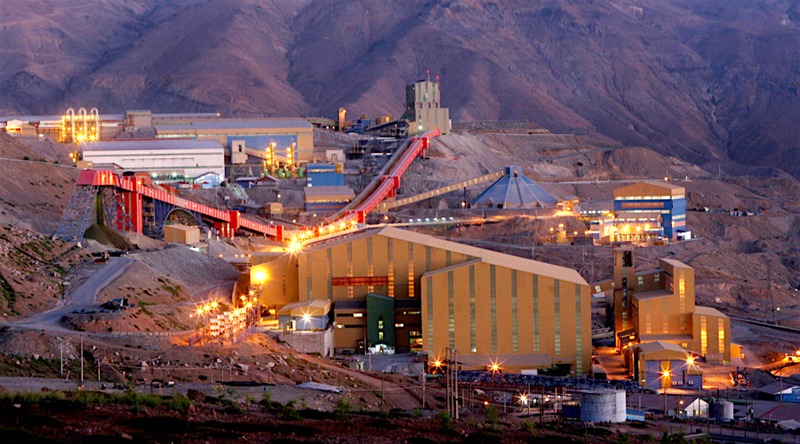 Back in 2012, OHL was in charge of developing a copper ore processing plant at División Ministro Hales in Antofagasta, while in early 2017 is was commissioned with the expansion of the Talabre Dam in the city of Calama.